As someone living with anxiety I find it really hard to switch off so I can relax or sleep and on when I need to focus, so I always tend to have something playing in the background to keep my brain from running away with me. One of my go-to things to listen to is podcasts. I only discovered they existed late last year but I was hooked straight away! They are such a great and easy way to expand your knowledge, plus I find them really inspiring /motivating. There are thousands of podcasts out there, so you are bound to find one that interests you. These are just my current favourite podcasts, that I believe are a MUST listen! Are you wanting heartfelt advice or candid chats? What We Said is hosted by two best friends, Jaci Marie – A Youtuber, Blogger, and Photographer. And Chelsey Jade – A certified health coach. 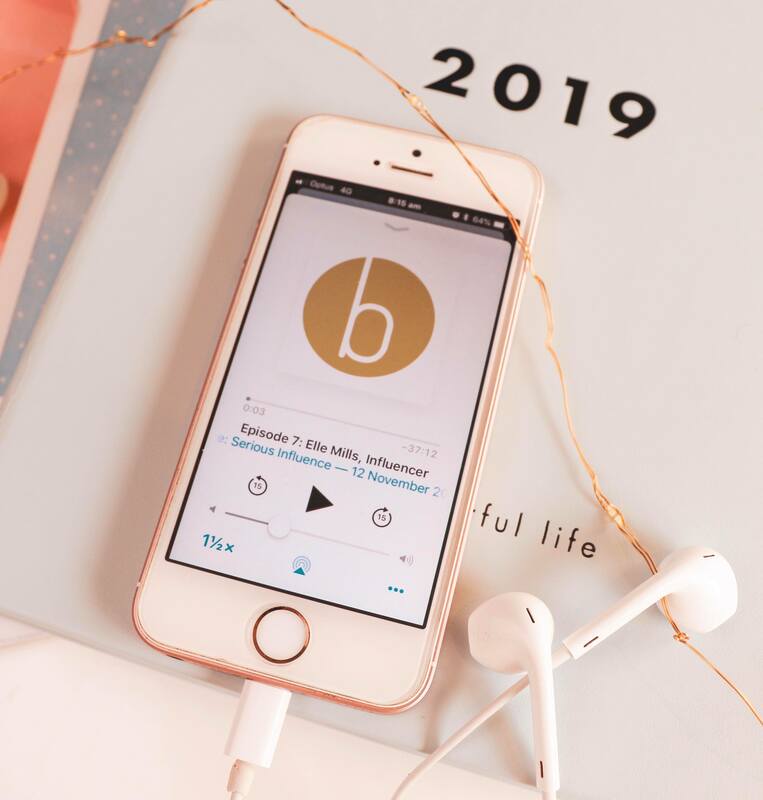 The podcast is full of heartfelt advice, candid chit chat, fans and friends stories and interviews with inspiring guests. It really is like listening to a chat with your best friends! My favourite episode is 10 Confessions Of A WorkAHolic, In the episode, Jaci opens up about trying to balance her work and personal life as a self-labeled WorkAHolic. It’s also the first episode of a podcast I’d ever listened to and what got me hooked in the first place! Are you living with a chronic illness or disability? Or are you wanting to advocate for those who are? The InvisiYouth Chat Sessions is a video podcast series (view the video podcasts here), Hosted by Dominique Viel – the founder of InvisiYouth an international non-for-profit charity that helps teens and young adults with chronic illnesses and disabilities learn how to keep living life. Twice a month Dominique interviews guest experts that are living with disabilities or chronic illness, many of which are bloggers, activists, motivational speakers, and elite athletes. My favourite episode is: 10 So You’ve Got The Diagnosis… Now What? Featuring Ali Hemsley – A Lifestyle, Fitness and Beauty Blogger. 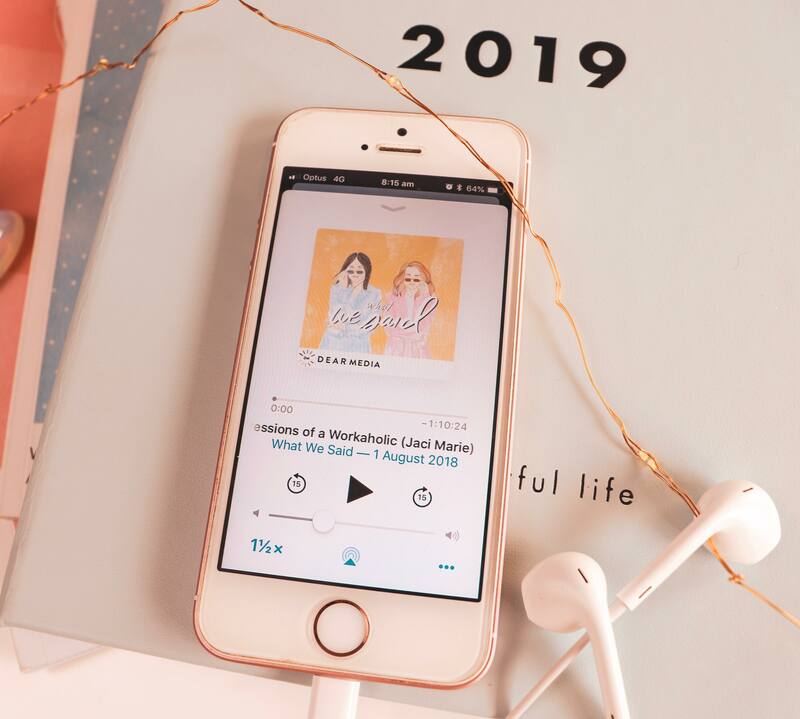 In the episode, they chat about the pressures surrounding bloggers with disabilities and chronic illnesses, insider blogger tips and much more. The InvisiYouth Chat Sessions is also my favourite podcast and my go to for when i’m feeling down about my illness! Are you a creative? Or do you dream of turning your hobby into a career? The Creative Leap is hosted by Cat Bryne – A Website and Branding Designer. The creative leap podcast is all about turning your hobby into a career, so each week Cat chats with women who have done just that. There are podcasts featuring photographers, florists, coaches, bloggers and more. My favourite episode is 005 featuring Polly Vadasz – An Illustrator and Product Designer. In the episode, they talk about Polly’s creative process and all about running a business while attending university. Are you a blogger or influencer? Or are interested in becoming one? Blogosphere: Serious Influence is hosted by Alice Audley – The founder of Blogosphere, a media tech company focused on bringing professionalism into the digital influencer industry. The podcast is all about the business side of the influencer industry, so each week Alice speaks with someone in that industry. There are podcasts with publicists, managers, influencers etc. My favourite episode is 7 featuring Elle Mills – One of the fastest growing Youtubers in 2017. In the episode, they speak about creative burnouts, the pressure of fame and creative freedom with brands. Are you a passionate activist? Or want to become more aware of social issues? This Is Spoke is an uncensored podcast hosted by Slumflower – A Writer, activist and Cultural Influencer. And Suli Breaks – A Poet, Spoken Word Artist, and Writer. Throughout the podcast, they explore today’s most important social issues with their guests. Many of which are the UK’s top writers, musicians, and artists. My favorite episode is #IAMBECOMING featuring Florence Given – A Feminist, Illustrator, and Designer. And Dreph – A Visual Artist. In the episode, they talk about the never-ending journey of finding yourself and personal struggles and triumphs. Same here I’m always on the lookout for new ones to listen to! What are some of your favourites? That’s ok, I hope you enjoy them! 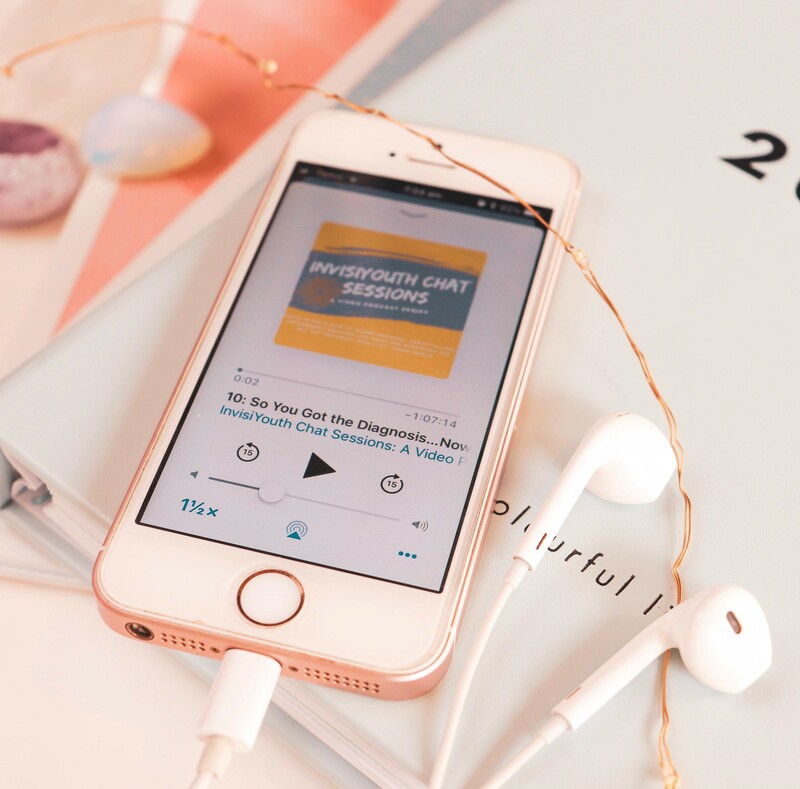 I’ve been trying to get into podcasts recently so this list is such a good place to start! 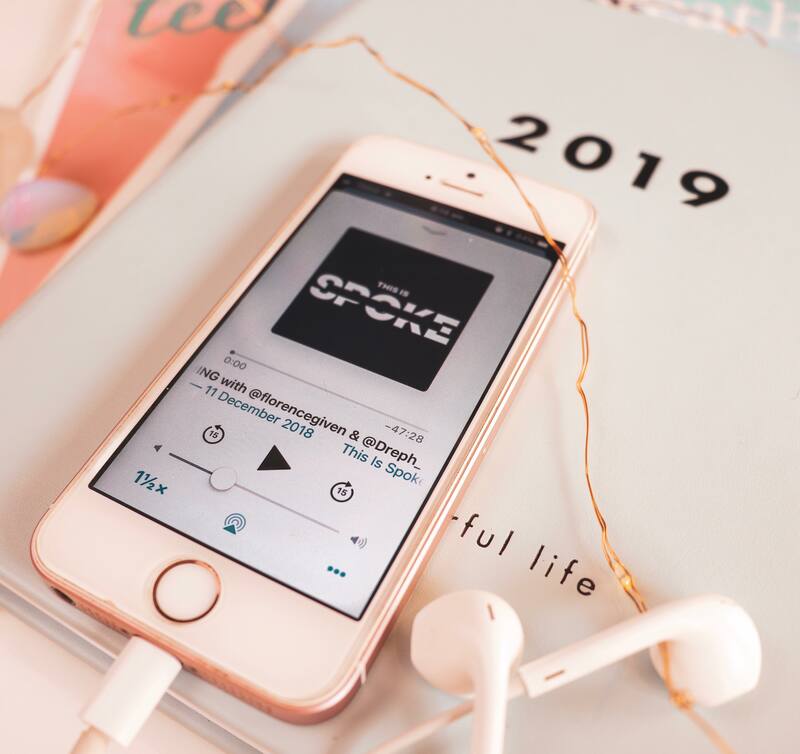 I didn’t know podcasts existed up until late last year, it took me a bit of searching to figure out which ones I was interested in, this list is a great place to start! Hope you enjoy them! I love it because I used to spend ages trying to find long youtube videos to listen to while getting ready. Now all I have to do is put on my fav podcast and I learn so much more as well! I keep meaning to get into podcasts but I still haven’t! I’ll save this post so I have a few ideas for when I finally do! 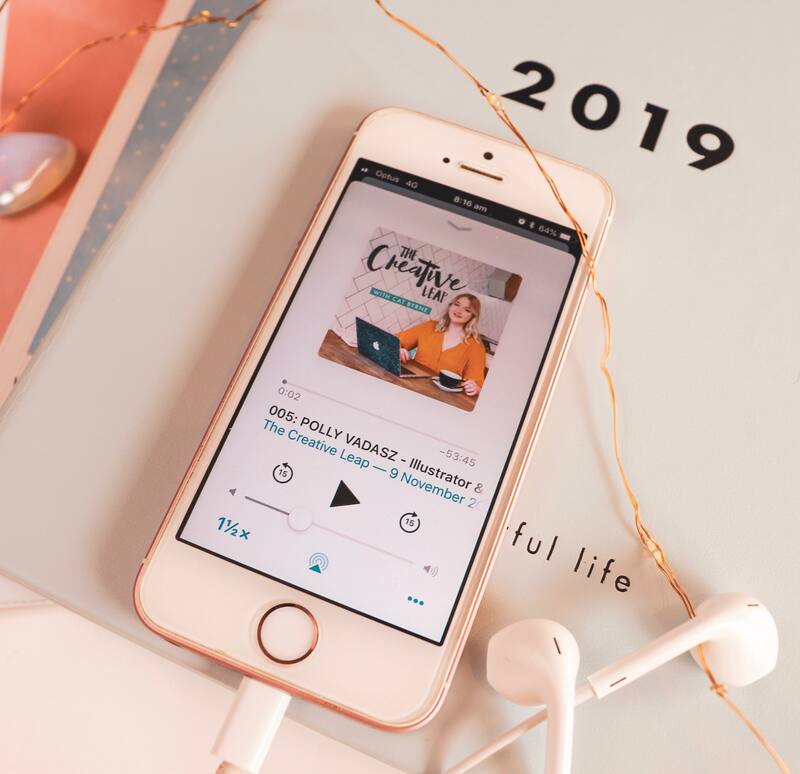 Podcats are perfect if you’re always on the go, I’d love to know your thoughts when you do! You totally should, they are the best! Never listened to podcasts but need to start! Also, love this. Glad you enjoyed the post and I’d definitely give podcasts a go! Ooh I don’t really listen to Podcasts but it’s something I’ve been really meaning to get in to! The Blogosphere one and The Creative Leap are definitely ones that stand out to me so I’ll be giving them a listen, thank you! That’s ok I hope you enjoy them! I especially love the creative leap, because you really get the inside scoop of what it’s like starting your own business out of something you love doing. What are some of your favourite podcasts that you have discovered so far? Hope you like them! If you discover any more good ones please let me know, I’m always on the lookout for new podcasts to listen to! Thank you so much for the nomination lovely, I can’t wait to write my post! Hope you find one you enjoy! I love listening to podcasts. I discovered them last year. Thanks for some new inspiration. That’s ok, hope you like them!